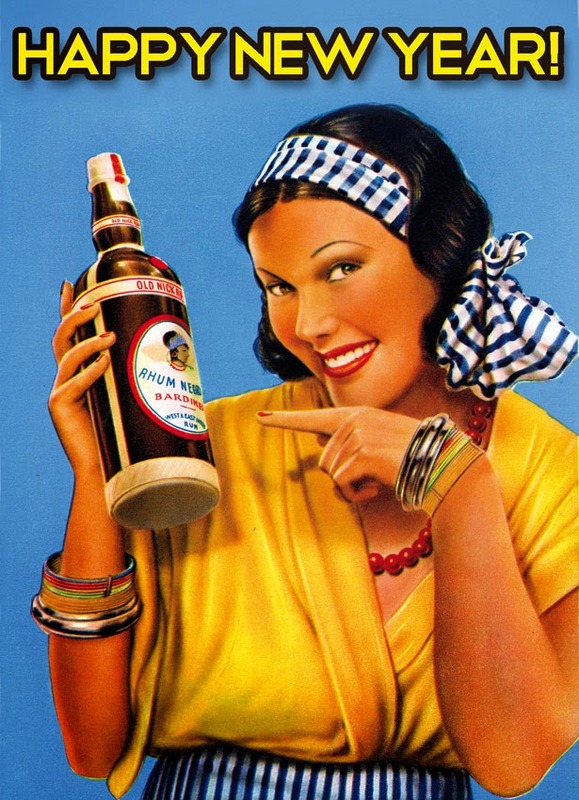 HAPPY NEW YEAR and I hope 2015 will be a vintage year for you all!! Hope you've all been having a spiffing time over Xmas. Have also been out and about into the wilds of Essex. 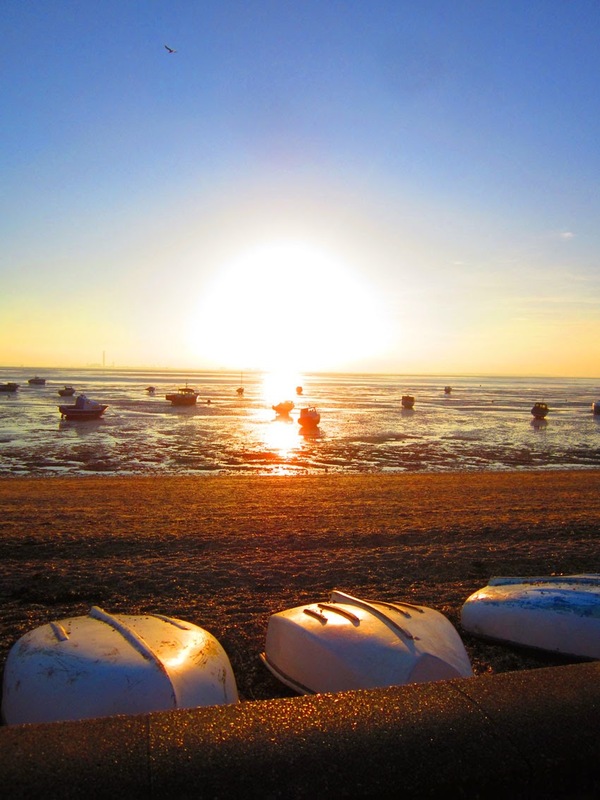 If only the rest of the country could wake up and discover the REAL Essex. There are stunning, remote and haunting places to be found all along the coast. Maybe it is better they don't and is left just for me!! 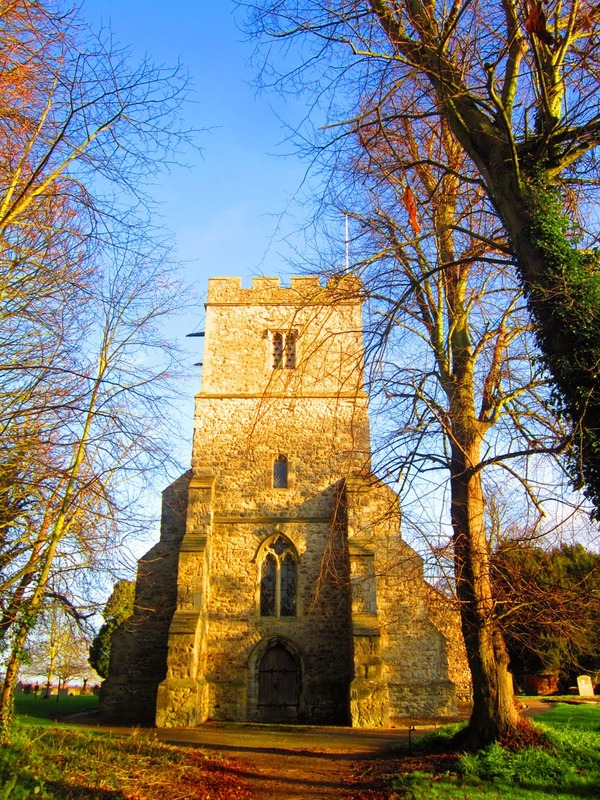 The church in the village of Tillingham on Christmas Day! 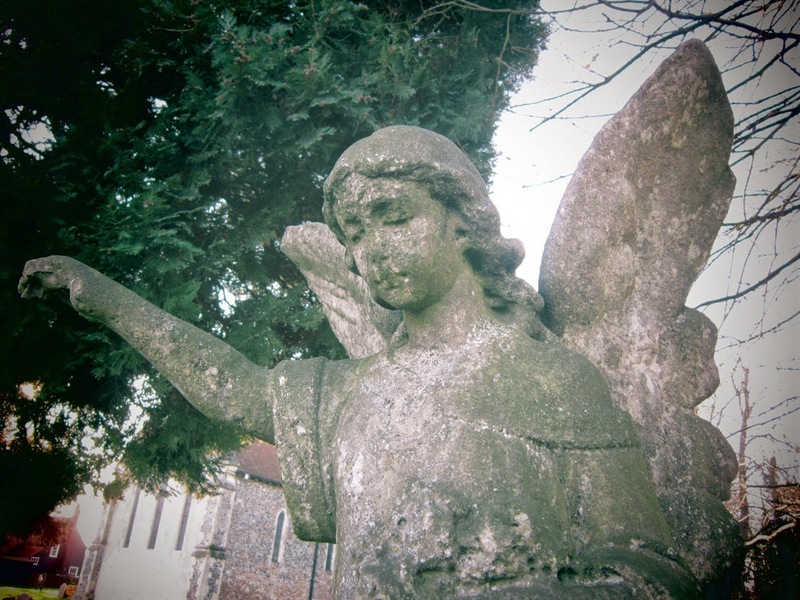 Spooky angel in the churchyard! 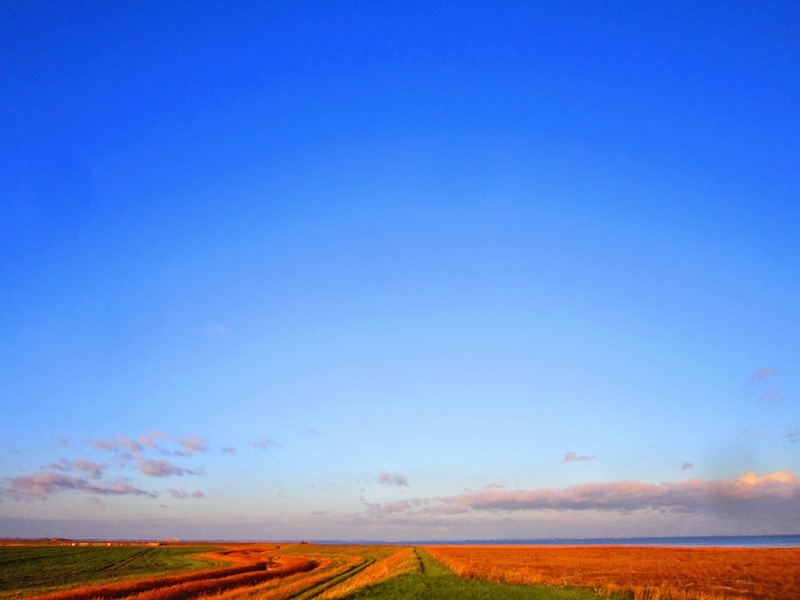 Classic huge Essex skies, looking towards Mersea Island and beyond. 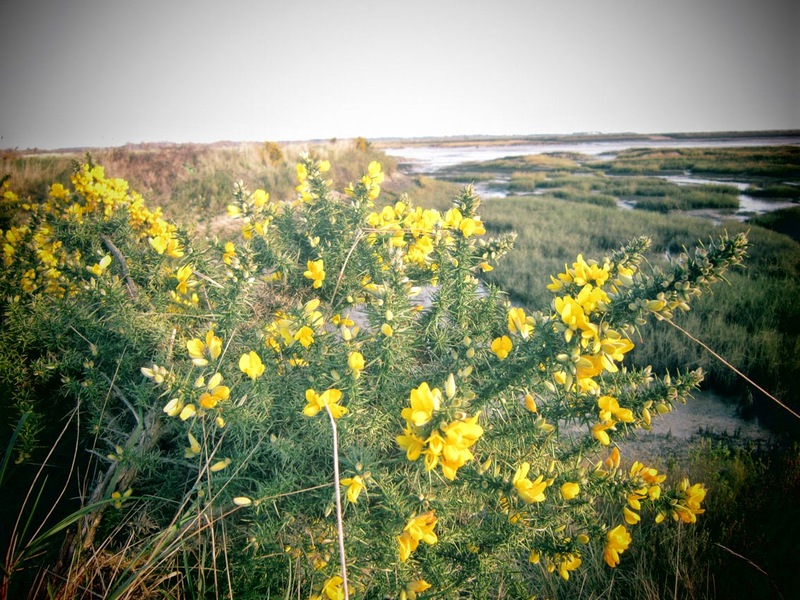 Amazing gorse found on the coast near the village of Goldhanger. 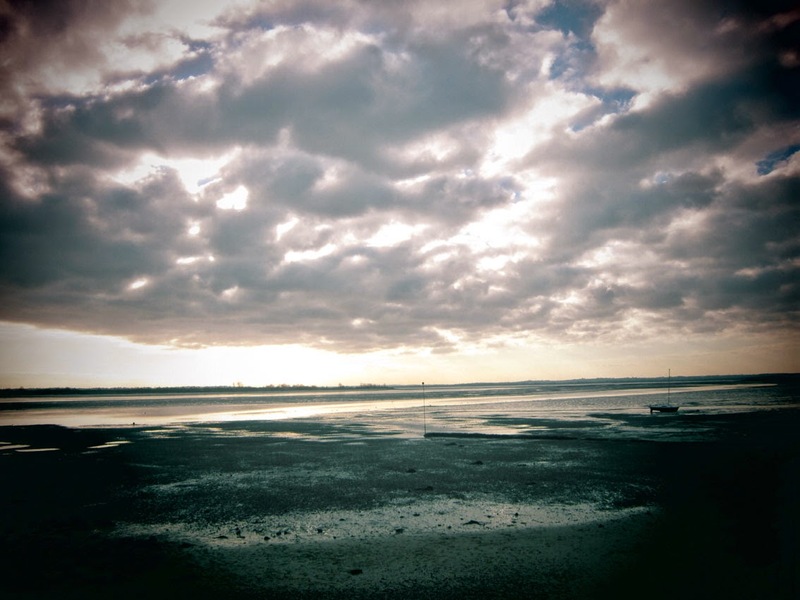 Sinister skies over Osea Island, fittingly as scenes from the Woman in Black films were shot there! 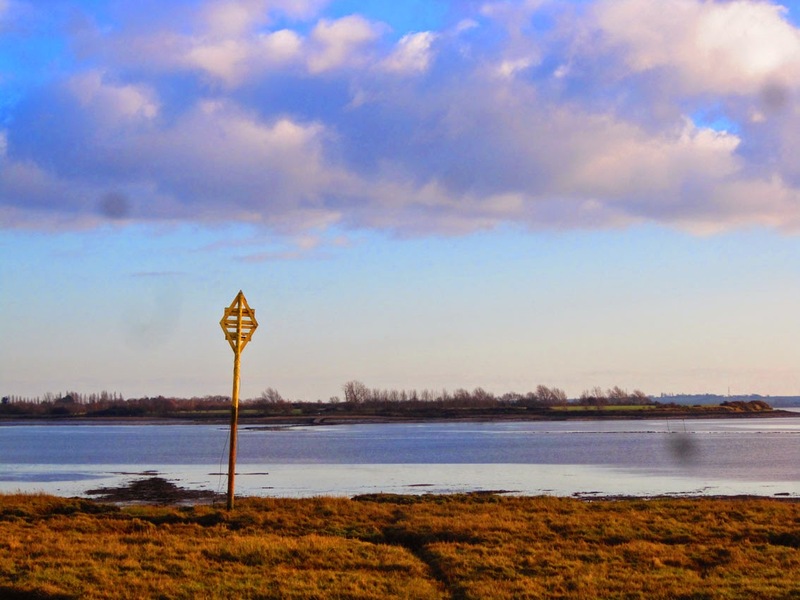 A closer look at the mysterious Osea Island. 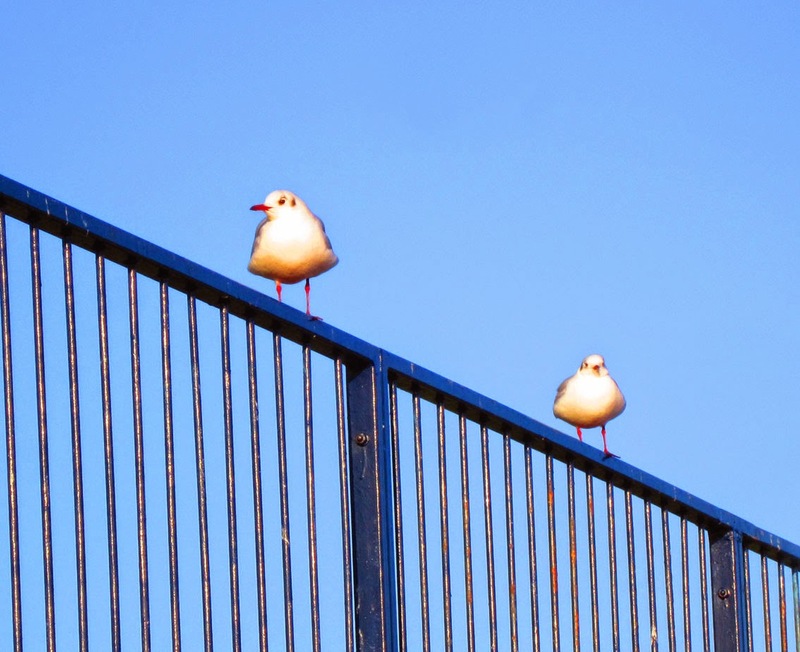 Seagulls enjoying some winter sunshine at Shoebury today! Don't forget, I'm going to be at OLD SPITALFIELDS MARKET this Saturday, first fair of 2015! HAVE A VERY MERRY XMAS EVERYONE!!!! 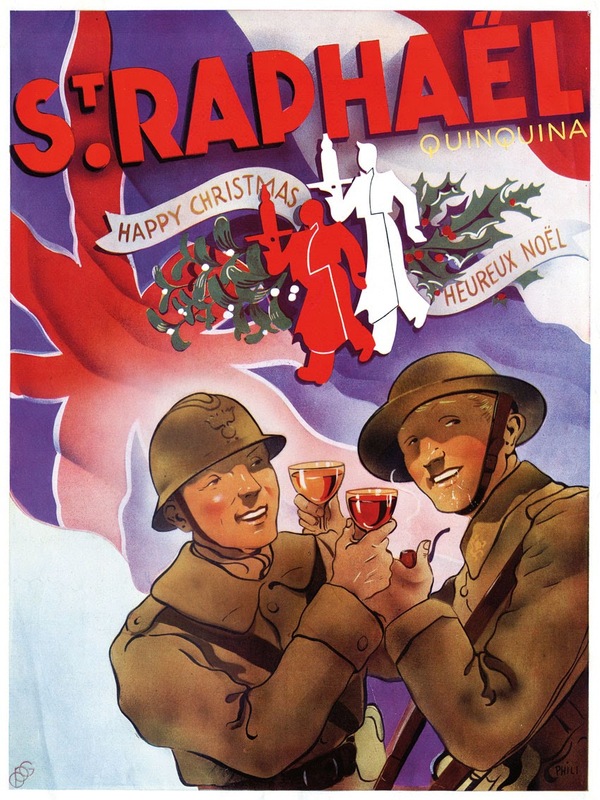 Gorgeous advert from French magazine L'Illustration for Christmas 1939. Have booked up my first date of 2015....! 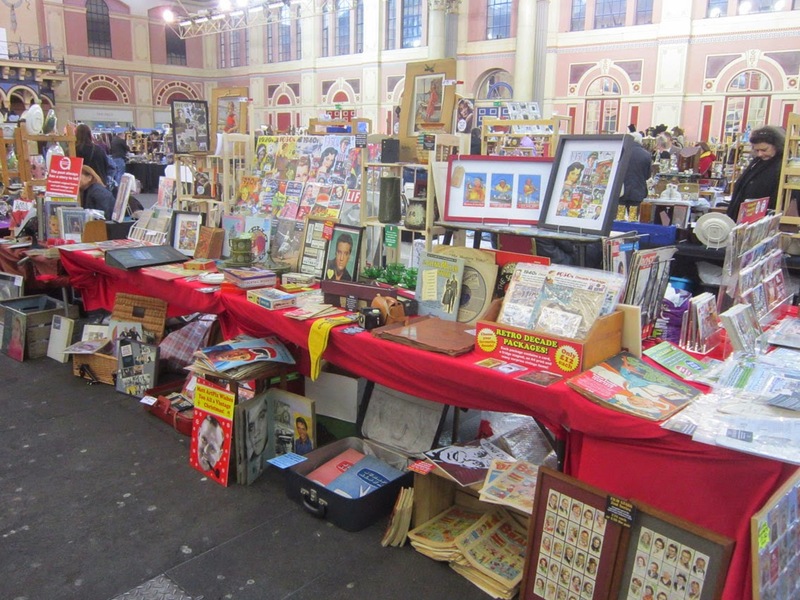 I'll be back at OLD SPITALFIELDS MARKET on 3rd January for the fabulous SO VINTAGE LONDON fair. 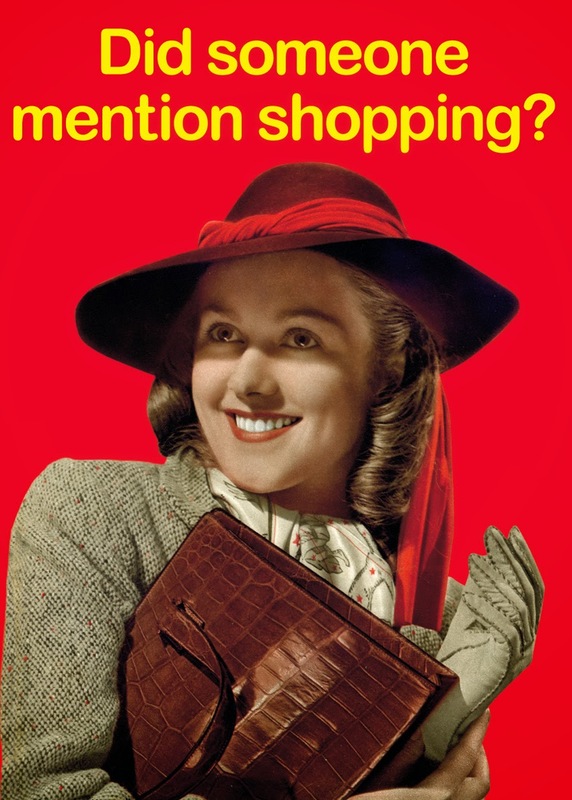 You'll be able to celebrate the New Year with a bit of vintage shopping, what could be better?! Can't wait to go back, as I've had three very successful fairs there this year. I've already lots of great stock and new designs to show. So pencil in this date and see you in 2015!! Have recently been working on an artwork as a present for someone who has a particular passion for Dorset. 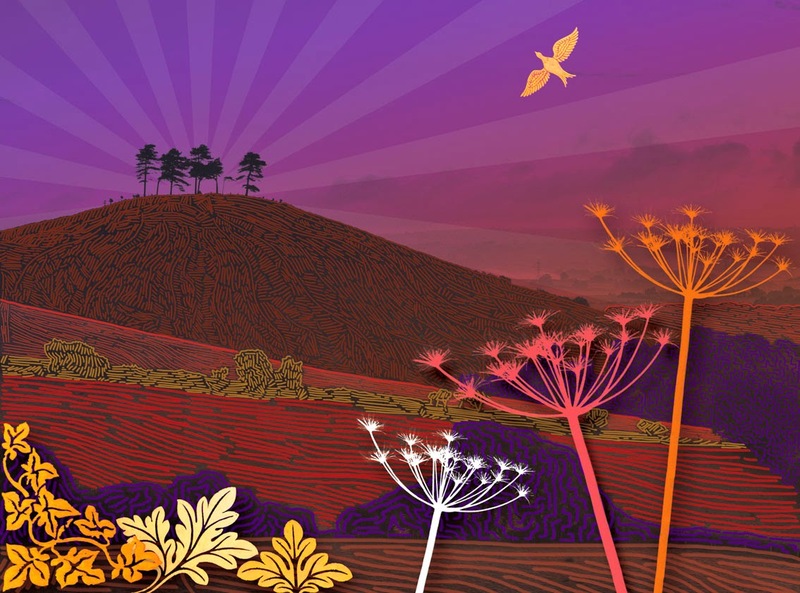 The subject is the iconic COLMER'S HILL near Bridport in Dorset. The base of the artwork is a photograph of the hill and I've added several touches to it. The leaves and the bird are from amazing Victorian tiles in Moreton Church, near to where Laurence of Arabia is buried. The fennel is from photos I took of them near Swyre Head on the Dorset coast. The lined textures were inspired by early 20th century linocuts, which I love, and I wanted rich and strong colours to match the gorgeous countryside you find down there. I managed to find a lovely battered Georgian frame from Covent Garden to frame it in! I love doing bits of artwork like this, especially using photographs, and is something I would love to do more of. Dorset is a great for artistic inspiration! Carrying on with the countryside theme, last Sunday I found myself in the ancient woodlands of Belfairs Woods in Leigh-on-Sea. Although virtually surrounded by houses and a golf course, strangely you can still lose yourself in there and get your fix of nature! 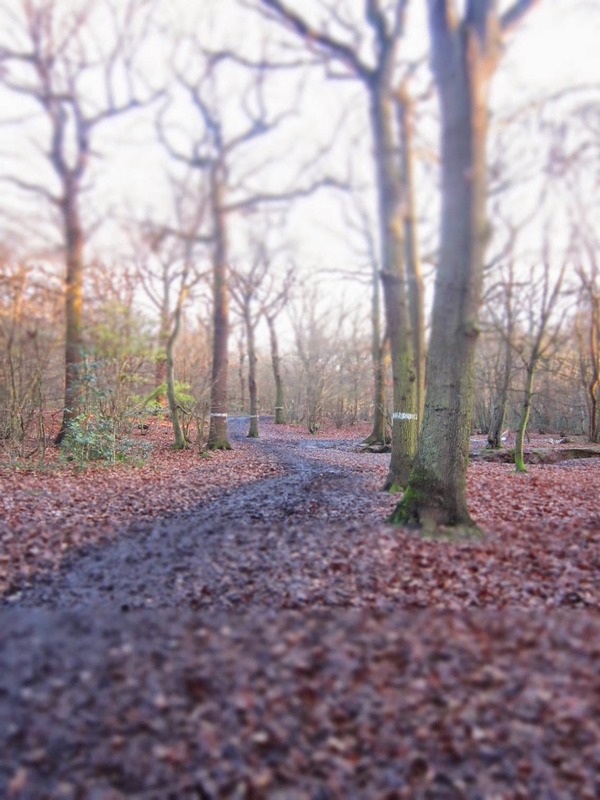 If you go down to the woods today.... 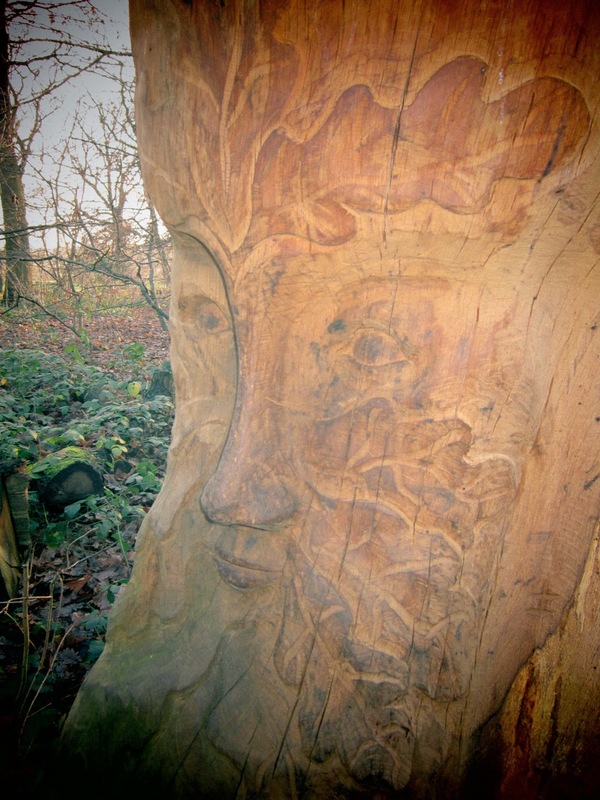 This fantastic Green Man carving may surprise you! 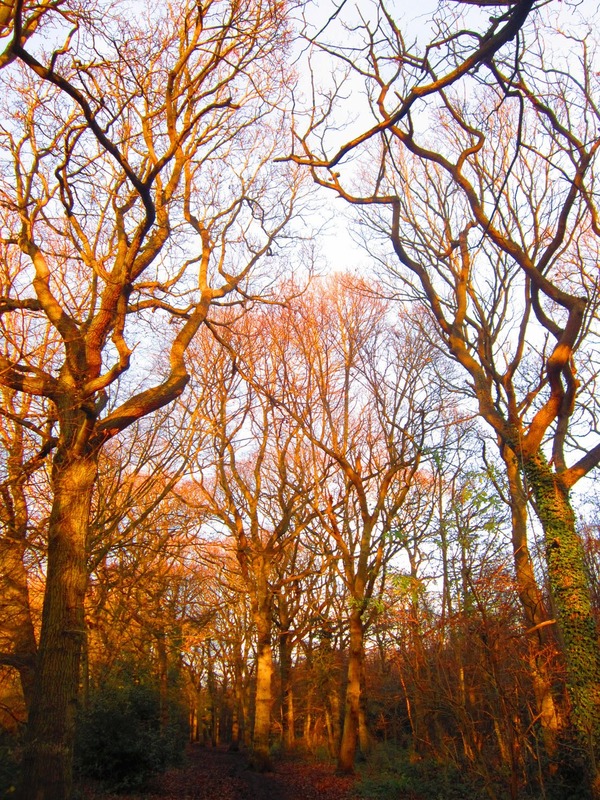 The Autumn leaves still cover the woods. 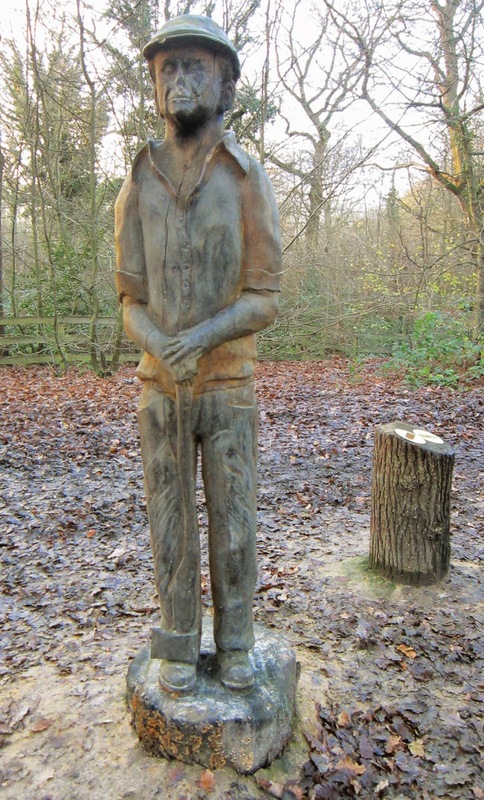 Sculpture of a woodsman, giving you a glimpse of Belfairs Woods' past. The setting sun produces some fantastic colours. 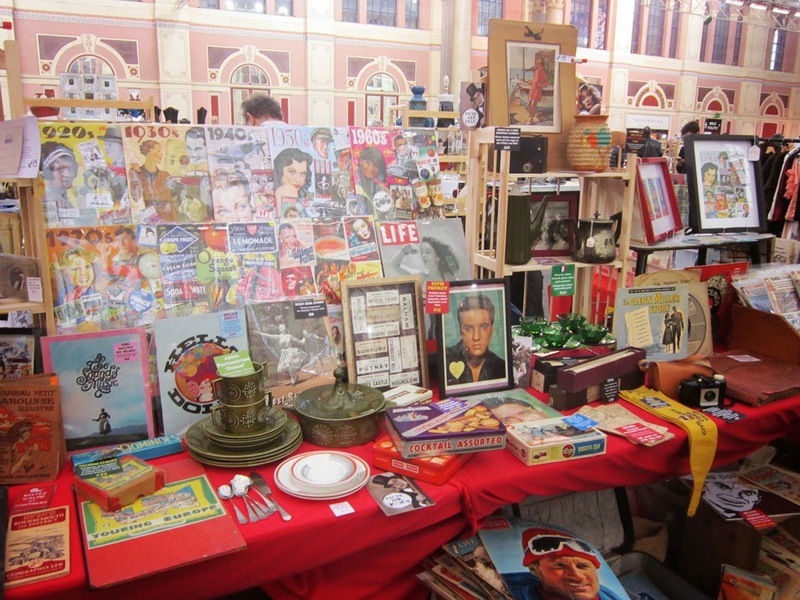 Wow, what a day I had at the Alexandra Palace Antiques & Collectors Fair yesterday!! After setting up the stall on the Saturday, we arrived ready for action at 7-30am on Sunday! The vast hall was a hive of activity at that time, with some frantic last minute preparations and adjustments to stalls! We had a great day and all the hard work was worth it. Sold lots of different vintage things throughout the day and a lot of my designs went as well, which is always great for me. My favourite moment of the day was undoubtedly selling a 1950s Atom Coat Rack to an ex-Chelsea manager!!! Not everyone can say they've done that...! That was the last fair of 2014 for me, but there are already lots of plans for next year. A regular pitch at Old Spitalfields Market is one of the things on the list after some very successful fairs there this year. So stay tuned here for more exciting news!! The fabulous Ally Pally bathed in winter sunlight. The gigantic hall, looking towards the Rose Window. Had a huge double-stall to display everything. Just some of the goodies on sale! 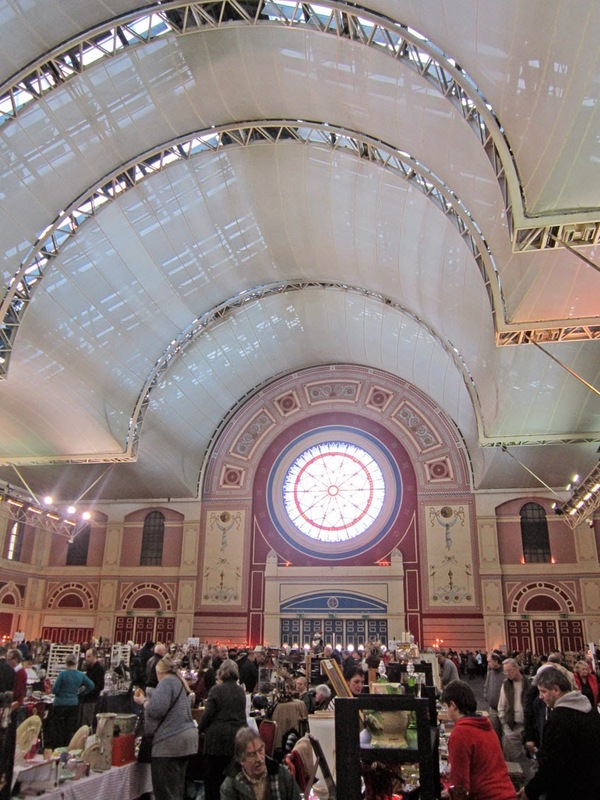 Not long to go now until the ALEXANDRA PALACE ANTIQUES & COLLECTORS FAIR!!!!! 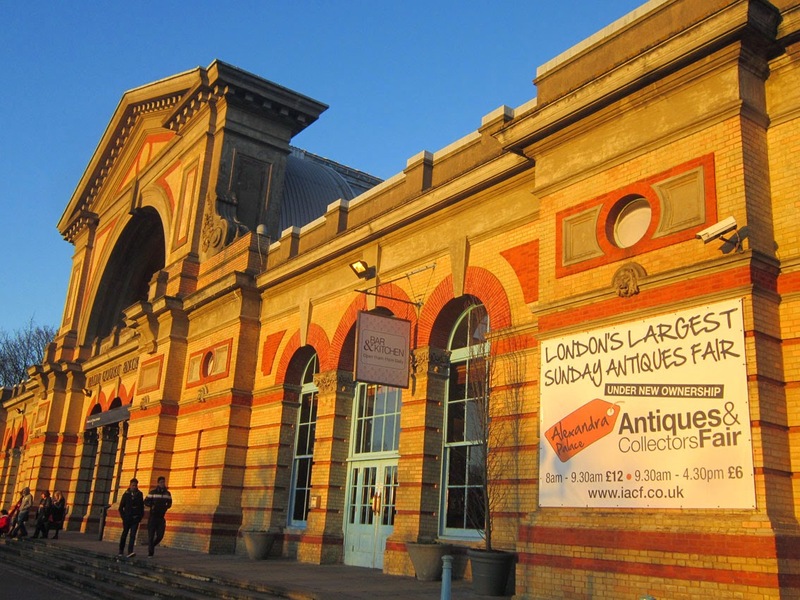 Yes, next Sunday I'll be at London's biggest antique fair!!! There have been frantic preparations at ArtPix Towers of late, but I can't wait for it! Have been finding all sorts of vintage goodies tucked away in the ArtPix Archives. 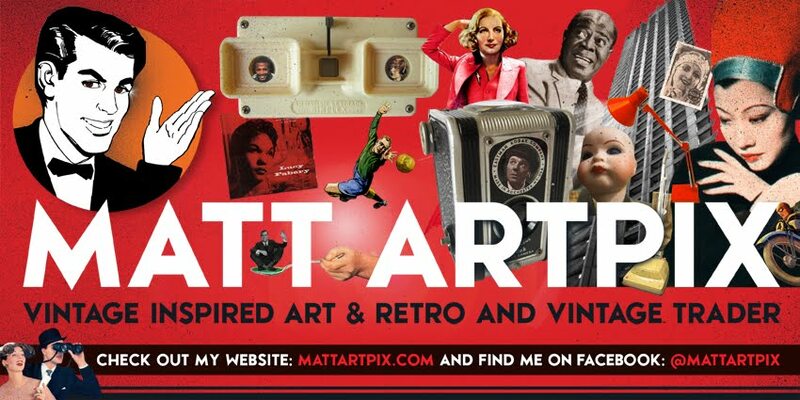 I'll be bringing along a fantastic selection of interesting items, plus huge amounts of my own vintage inspired art. 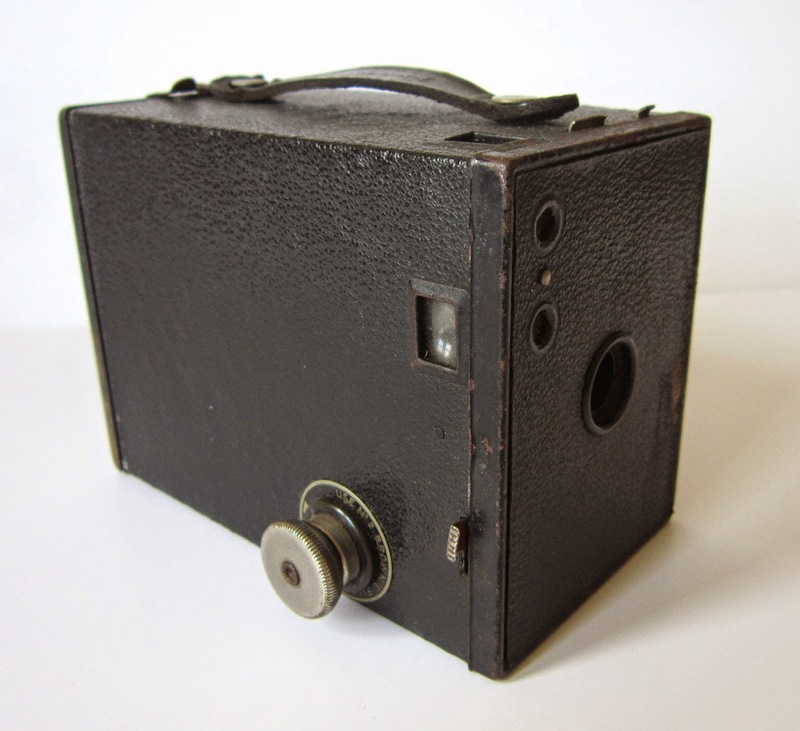 A classic 1920s Kodak Box Brownie No. 2. Music roll for a Metrostyle Pianola Music Player from the 1900s. A fabulous 50s Atom Coat Rack! 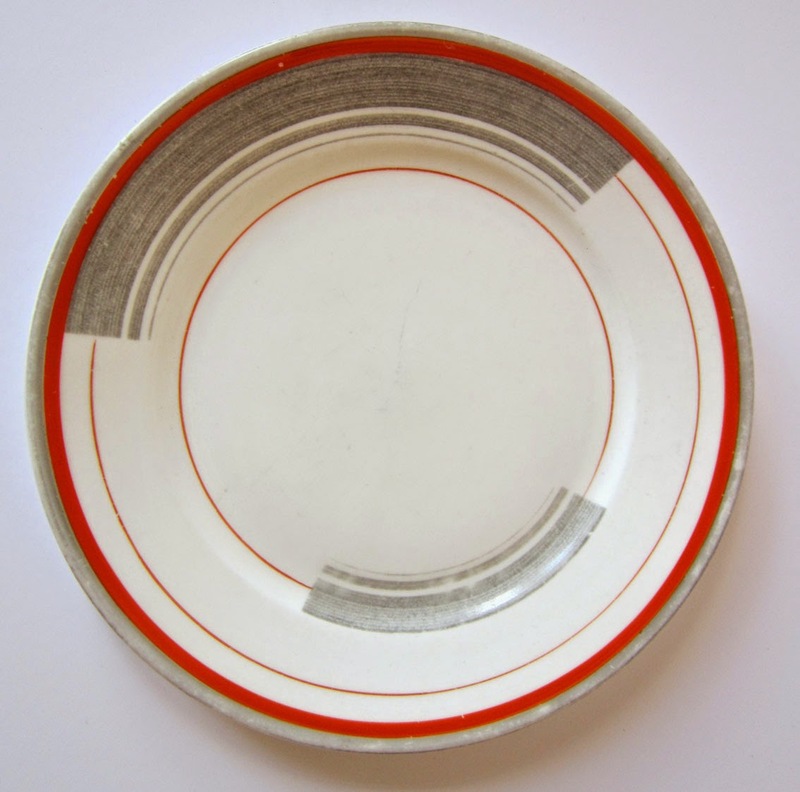 Stylish Art Deco plates from Shelley. 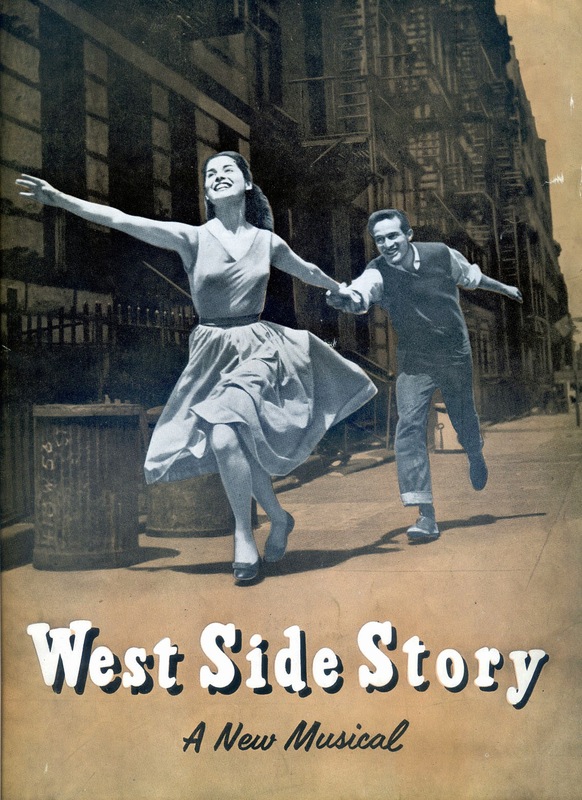 Theatre programme for West Side Story from 1958. Rare unopened bubble gum cards from the 70s and 80s. Check out the organisers website here for more info.